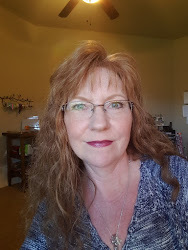 Creative Impressions Spring Blog Hop! 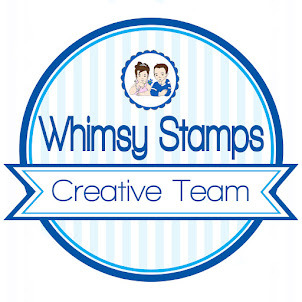 Stampendous is having a Creative Impressions Blog Hop this week and the Design Team is sharing their creations made using their beautiful ribbon. Of course there are prizes!! 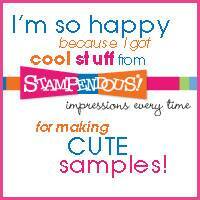 There are FIVE terrific prize packages that include Birthday Ensemble Stencil and a Creative Impressions Ribbon Card. 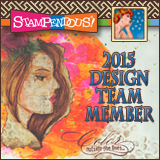 To be eligible to win simply comment on posts here and on our Design Team's Blogs throughout the week. Comment by midnight on Sunday, Pacific time and the winners will be announced on Monday, April 24, 2017. US winners only, see Official Contest Rules for more details. 1. Stamp Catching Rays with black ink and color with with watercolor pencils. 2. Stamp Catching Rays a second time, color only the light bulb, cut out and set aside. 3. Sponge around the light bulb with blue chalk and around the mouse with brown chalk. 4. Pop up the cut out light bulb using foam squares. 5. Layer onto yellow paper and set aside. 6. On pink cardstock, sponge white gesso over the Chevron Background Stencil, let dry, layer onto white cardstock and glue to a top folding orange card. 7. Tie ribbon around card and glue on the Catching Rays panel. 8. Stamp sentiment in black ink on white cardstock and use Fitted Frames to diecut. Pop up on card using foam squares. Take a look at what the other Designers have for you and be sure to leave comments to increase your chances of winning! Visit Creative Impressions for more great products! I like how you added the Bible quote! Adorable card! Love your coloring! Oh my, this is just too cute! So cute! Love the mouse. Awww! So sweet and so fun! I just have to chuckle when I see this. Great coloring too. So cute. Your coloring is fabulous. So darned cute. I love how you colored it, especially the light! Just who can turn down a wee House Mouse card, NO ONE!! And this one is the cutest the way you used it. I admire anyone who can color so well with colored pencils; I love the look, especially on animals. I can just hear the HM saying, "Thank You, Lord! "; that was the perfect saying for your scene. The color yellow was one of the things that hit my eye first--the bulb, bow and yellow cardstock fit right in with the orange base card. It was coordinated perfectly and I loved it when you offset the top layer to the right so it catches the looker's eye. Well done!! Great card. I like the layers and your coloring. This is so cute. It would be great to color for those that live in cold regions. Beautiful colors. Your card is now a fav' of mine!! I just ordered a HM image for summer of one sunny under an umbrella and love yours better!! Gorgeous coloring especially!! 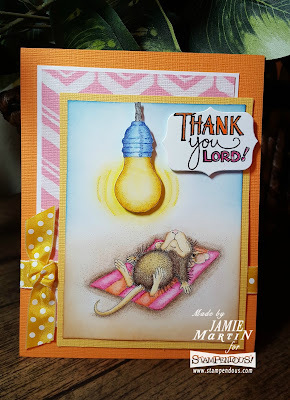 This is just the cutest card, so colorful and what a bright idea to pop up the lightbulb! ;) Thanks so much for sharing your creativity during the hop! This is one of the cutest stamps. Love the coloring! How cute! Love that mouse! I love this adorable image! You have colored it to perfection and made it a delightful creation! TFS! Love this card! Amazing coloring and layout! Thanks so very much for sharing your creativity!